Born in Coventry, Richard attended Pattision’s College and began performing from the age of 5. At the age of 18 he moved to London to further his training and was awarded a Scholarship to attend the London Studio Centre. After graduating he went on to perform in Pantomimes, Operas and regional Theatre productions before landing his first West End role in Crazy For You, choreographed by Susan Stroman. Richard later became the assistant director of Riverdance and toured the world before landing a job in Mexico where he produced and managed a show commissioned by the Mexican Government. On his return to the UK Richard became part of the artistic team of the London 2012 Olympic Games Opening Ceremony as Dance Captain, and returned to dance when he began assisting Sheila Sangster with her Jazz classes at Pineapple. 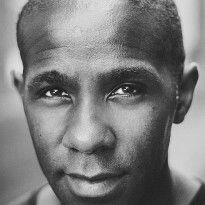 Richard is honoured to be part of The Scottsboro Boys and to once again be working with the team that gave him his first West End job. Richard would also like to thank Sheila Sangster for bringing him back to dance.